1. Take an all-in approach with 100% commitment- Like any other hard goods or soft goods line for your store, your ROI will only be as good as the effort you put into the line. Sales follow marketing efforts. When it comes to attracting new customers into the wide world of water features, do you consider all your options? Today's homeowners are most certainly looking for high value water features, both attractive and simple in regards to low maintenance. Low maintenance waterfalls, fountains and bubbling water features have taken the foreground in the pond market. If you are like most people today you have 100s if not 1,000s of digital photos tucked away in misc files on the computer. 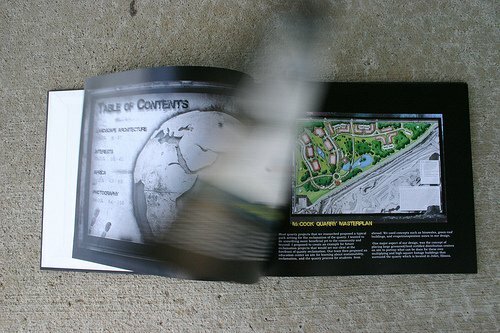 You do not have to be a Landscape Contractor to use photos to your advantage. Many Retailers display inspirational resources all over the place to engage and entice homeowners to dream big and do maybe just one more project. Homeowners, including myself are always looking for ways to save money and keep a few extra dollars in our pockets. 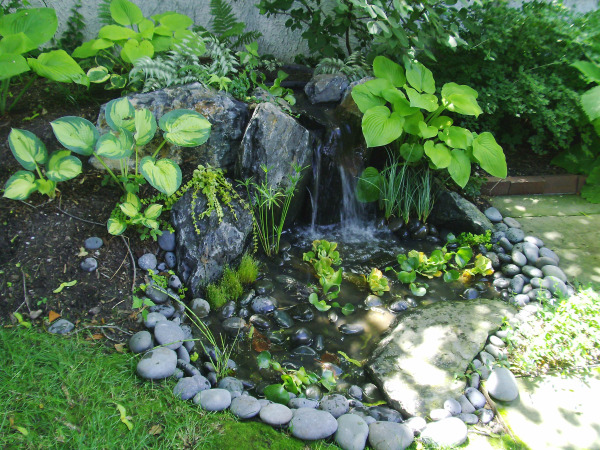 Pond owners are no exception especially when it comes to maintenance. Although many of these pond owners are concerned about the health of their fish but when they decide to do there own spring-cleanouts the chemicals they are using could be harmful to the EPDM (ethylene propylene diene monomer) Pond Liner. 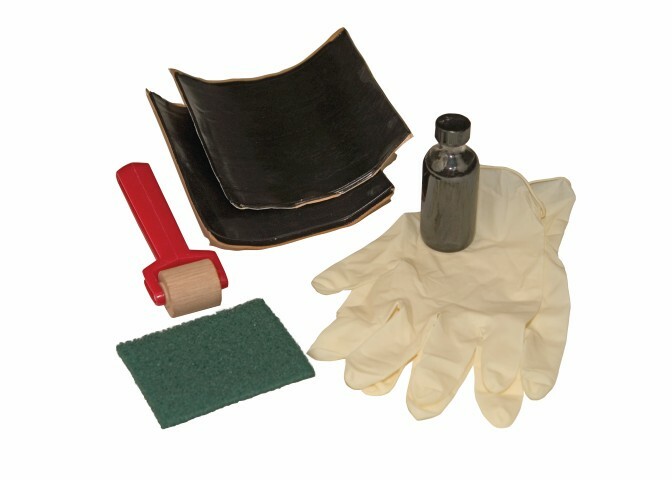 In contrast, many Installers are also unaware of exactly how many and what types of chemicals can be harmful to the EPDM pond liner. For many landscape contractors the fall pond season represents a frantic time in their business. Preparing for seasonal change is important and often critical. Although many of your business models differ we each experience the need to plan ahead, store back some $$$ and keep business rolling well into the winter season. 1. Re-connect with old quotes offering 10% off. This kind of offer does two things: it helps give your Contractor some more leeway on his numbers, plus he has another reason to speak directly with the decision makers. You never know if your offer will help unless you try. 3. 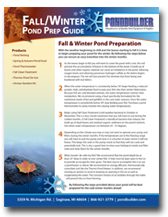 Remind Contractors you sell Fall Pond Supplies: Cold Water Bacteria, Nets, Fish Food and other supplies that homeowners will need during the fall transition. Create an offer: SAVE 15% off Fall Service! 4. 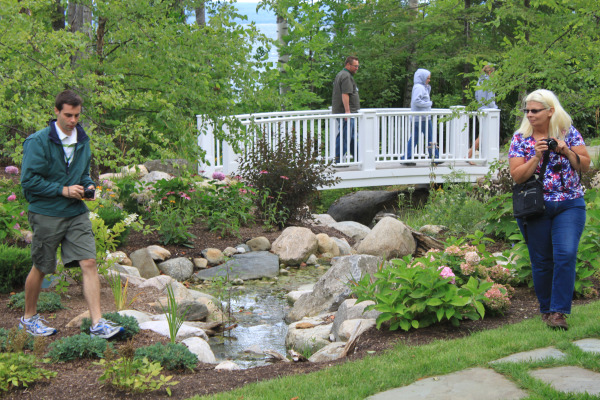 Conduct a Fall Seminar: Proper fall pond maintenance will insure a healthier pond come spring. 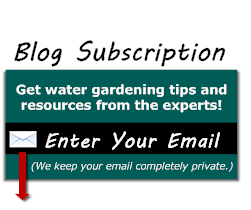 Offer a 1-hour training on cutting back water plants, cleaning filters, partial pond clean-outs and securing pond netting over the pond, pond stream or waterfall. A few resources for you to use. 5. 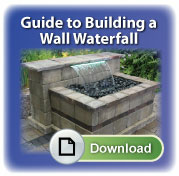 Run a special on 1-Day Projects: A big seller has been the Mini Cascading Falls, which 2 people can build in 1 day, or how about Fountain Vases or some other Bubbling Feature? 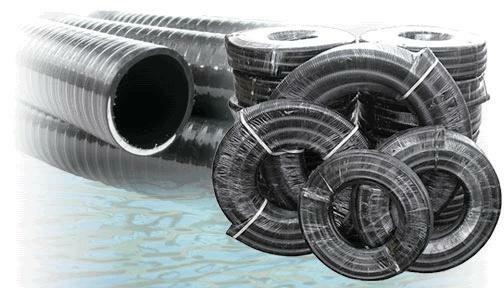 Despite popular belief bottom drains are not just for pools, the growing popularity within the pond industry is leading to new standards for koi gardens and water garden pond installation. The pond maintenance requirements are drastically reduced along with koi health benefits being improved. Bottom drains are not only efficient but can add aeration so the yearly spring pond cleanout practices are less needed. Most contractors are accustomed to this spring time practice and dedicate a lot of money and effort with little time for spring start-up projects. The ability to up-sell on a gravity flow bottom drain along with a pre-filter and an external pump allows landscape contractors to improve profit margins with add-on sales. Why would today's consumer choose to shop with a main street business vs. the growing and highly competitive online market place? 1. Be the first to judge your storefront by it's cover. The internet, facebook, and other social forums have made it easier for consumers to do the necessary comparisons well before they step foot one inside a brick and mortar store. 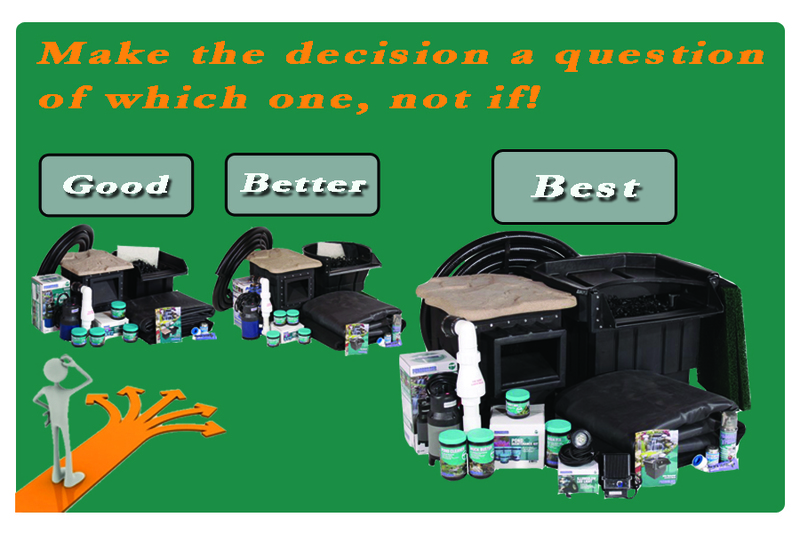 Listed are 5 customer tips to help your pond retail store differentiate from the appeal of shopping online.